Happy Monday, meal peppers! This week I’m changing things up with a little buffet style prep. I don’t often do this kind of prep, but it’s actually pretty awesome for a short week or when I know I’ll be working from home a lot. I can just grab whatever ingredients I’m in the mood for, toss them together, and get a bunch of different meal combos. Most of the time you’ll see buffet style preps with some complex carbs like quinoa or sweet potato and multiple kinds of protein…I made this one right after getting back from an indulgent vacation in Paris, so I was in the mood for fresh fruits, veggies, and simple food! Another great thing about buffet style prep? It makes it pretty easy to flex your macros according to what else you’ve eaten for the day. 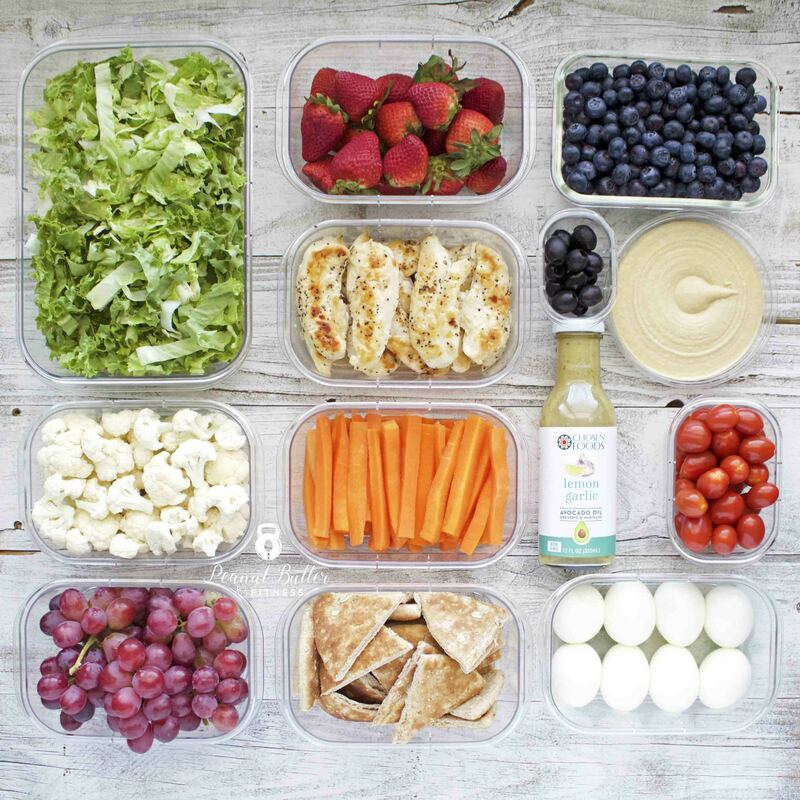 I personally like to plan my snacks around my meals, but you can always go the other way around!